Update: The Second Edition of the VB-MAPP Guide has just been released. 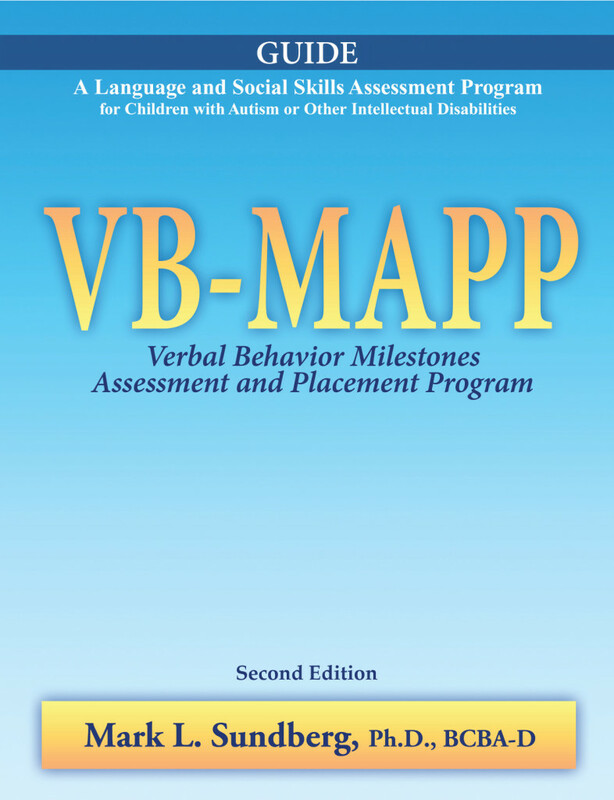 The 2nd Edition of the VB-MAPP Instructor’s Manual and Placement Guide contains an upgraded description of how to use Skinner’s analysis of verbal behavior for language assessment, the assessment instructions, and the specific scoring criteria for each of the 170 milestones. In addition, the manual contains a placement guide that offers specific suggestions for programming and direction for each of the 170 milestones achieved, as well as suggestions for IEP goals for each skill presented in the three levels of the VB-MAPP. Don’t worry – the Guide is still compatible with the original Protocol! The Second Edition of the VB-MAPP Guide corresponds with the existing VB-MAPP Protocols and will not affect any Protocols you currently own. Bulk discounts will continue to apply to the VB-MAPP Guide, 2nd Edition. Save 10% on the unit price if you buy 10 or more, and save 20% if you buy 25 or more of the Guide. Written by: Different Roads to Learning on June 30, 2014. This entry was posted in ABA, Applied Behavior Analysis, Products and tagged AVB Press, Early Intervention, Mark Sundberg, VB-MAPP, Verbal Behavior Milestones by Different Roads to Learning. Bookmark the permalink.